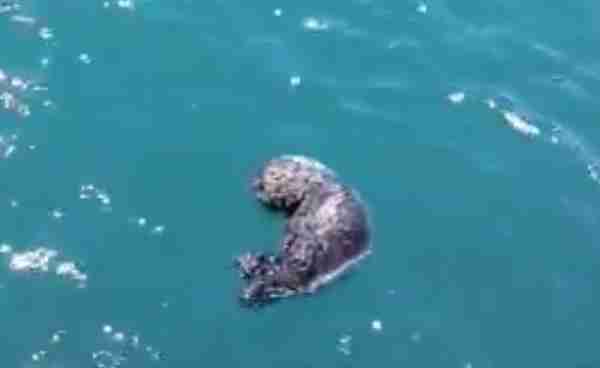 It's difficult to imagine the devastation this mother sea otter must have felt when she lost her newborn baby. But it's easy to sense her joy when they were ultimately reunited. Last week, rescuers from The Marine Mammal Center (TMMC) in California found the little infant, who, at just 2 days old, had gotten separated from his mom during a strong tide. Sadly, most baby sea otters in these situations require special care and thus will likely never see their parent again. Thankfully though, this one still had a chance. "As the pup had no wounds, seemed bright and alert, and did not appear to be stressed, she was assessed to be healthy and active enough to attempt a reunion," TMMC spokesperson Lucy-Claire Saunders told The Dodo. But how do you find a lost pup's mom among so many other sea otters? Apparently, all you have to do is ask. 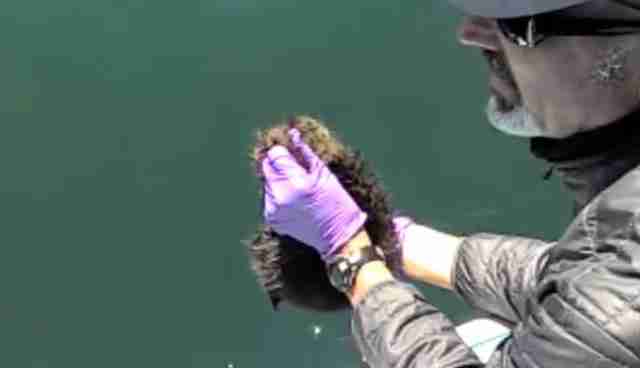 With the tiny pup in tow, rescuers took a boat out into the bay where he'd been found and simply held him aloft for each sea otter that they came across. Most wouldn't come close - but one did. "They knew they had found the mother when she responded immediately to the pup's vocalizations and swam over to the boat to retrieve her pup," said Saunders. And with that, their family was whole again (and it looked as sweet as it sounds). Click here to learn more about The Marine Mammal Center, and to find out how you can help.